Will the tanning lotion speed up the tanning process? YES, as well as enhance your color!! 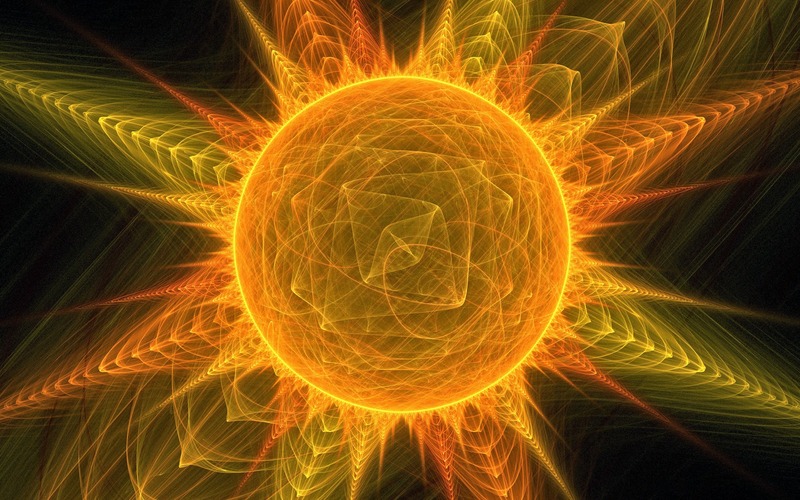 Indoor tanning, if you can develop a tan, is an intelligent way to minimize the risk of sunburn while maximizing the enjoyment and benefit of having a tan. We call this SMART TANNING because tanners are assisted with learning their skin type an encouraged to slowly build a natural glow for their skin that is easily maintainable in only a few sessions a month. How are salon indoor tanning lotions better than what I can purchase at the drugstore or supermarket? Over-the-counter lotions do not contain the necessary ingredients that will maximize your tanning results and extend the life of your tan. Moreover, mass market products do not replenish as effectively any lost moisturization that occurs during the tanning process. Tanning Salon lotions are "bio-engineered" specifically for indoor tanning with the best ingredients for the nourishment of your skin. Please note that you should not use regular over the counter daily moisturizers due to them all having sunblock components in the ingredients. Why should I use a tanning lotion if I tan just fine with out it? This erroneous belief can be easily rectified once clients actually understand the tanning process. 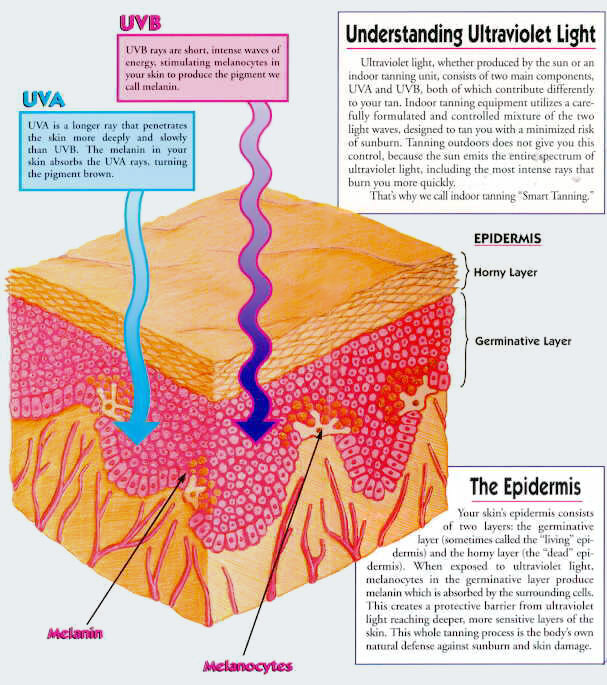 For example, UV exposure can be dehydrating to the skin. Indoor tanning lotions will help to replenish any moisture that has been depleted during the tanning session, thereby improving your results. Not only will you get a darker tan, you will tan more quickly and it will last longer. In addition, indoor tanning lotions contain specific ingredients that promote tanning, melanin synthesis, and other nutrients for skin rejuvenation. How does a bronzer work and will I turn orange? bronzers provide instant bronze gratification from immediate cosmetic bronzers such as caramel and walnut extract as well as from DHA sunless tanning agents, which oxidize over a few hours with the natural proteins in the skin to develop even deeper, darker results to enhance the your personal color. It recommended waiting at least 4 hours after tanning with any bronzer to ensure results. If you are using a good quality natural bronzer you will not streak or turn orange. If you are using a synthetic bronzer it could have a deeper caramelized tint as the product ages. Products have been much improved over the years so as long as your using a good quality bronzer that is NOT expired out of date than you will NOT turn orange with the right products. Tingle products deliver a warming, reddening effect on the skin. The active ingredient in the tingle lotions is Benzyl Nicotinate. Tingle products increase the skin cell's microcirculation and oxygenation to produce deep, dark tanning results. Tingles are for your advanced tanners and are not recommend for beginning tanners or individuals with sensitive skin. Tingle products are also effective on hard-to-tan areas such as women's legs. As with all tingle products, extra care should be taken when handling children and pets as the reddening effect could be transferred to skin even hours after use. It recommended waiting at least 4 hours after tanning with any bronzer to ensure results. You may use a daily moisturizer to mitigate the heat sensation. This will not stop the tingle, but it will alleviate it to a certain extent. Taking a shower with "cool" water and mild soap will also help ease the tingle, if you must rinse it off. Hemp Seed Oil is a humectant that pulls moisture from the air to the surface of the skin. It is a skin care ingredient that provides powerful hydration. This is a wonderful ingredient in a tanning lotion because UV exposure can be dehydrating to the skin. In addition, Hemp Seed Oil contains essential fatty acids which help ingredients penetrate into the lipid layers of the skin. We prefer you shave and shower before you come into tan this way you can shave and the heat from a shower opens your pores, enabling the skin to breathe and take in oxygen vital to the tanning process. Second, a shower will wash away dirt and dead skin cells that may impede ultraviolet penetration when you tan. Removing those dead cells also allows the active ingredients in lotions to work their way into the live skin cells more easily. This way you can wear your tanning lotion all day to maximize the benefits of the bronzers, and nutrients that you are paying for. Don't however be mis-lead, you can not wash off your actual tan you can just enhance the process by showering and shaving first to wear your lotion thru out the day. It is important not to expose a fresh tattoo to sunlight or indoor tanning equipment, while the tattoo is still healing, since chemicals sensitive to UV exposure have been injected into the skin. Cover the tattooed area completely or don't tan until the skin has healed. After the skin has healed the chemicals have lost their sensitivity to UV, but continue to take moderate protective measures. Tattoos will continue to lose their brilliancy with exposure to UV light, indoor and out, so we carry many lotions in the salon specially formulated to protect your tattoo color. Ask us about the lotions with anti-fade tattoo protection complex. Please always use goggles at all times to protect your eyes against the UV damage if you do not have your own pair, there will be a sanitized pair available in each room. Can I tan on my medication? If the pharmacist said stay of the sun on this medication, that does also mean indoor tanning. We also have a medication list posted in the salon lobby for your assistance.